During the spring, they are appearing as guest bloggers here in the Vice-Chancellor’s Blog to write about developments in the areas for which they are responsible. 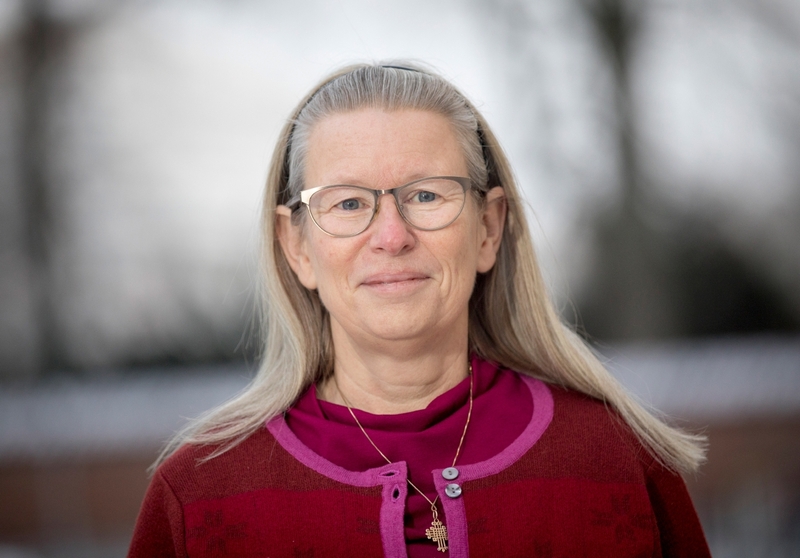 This week’s guest blogger is Cecilia Wejryd, Senior Lecturer at the Department of Theology and Adviser to the Vice-Chancellor on Equal Opportunities. Six months have passed since the #MeToo movement began and it has become obvious that much still remains to be done in the area of equal opportunities and freedom from harassment and discrimination, both in society in general and in specific sectors and activities. As a university, we have a particular interest in these issues. Equal opportunities and gender equality not only create a better environment for individuals, they also enhance the quality of research and education. In other words, equal opportunities are a competitive advantage. This emerges clearly from Quality and Renewal 2017 and is apparent in the implementation of Charter & Code. The Adviser to the Vice-Chancellor on Equal Opportunities is not responsible for taking action on equal opportunities at Uppsala University. This is down to departments and divisions under the leadership of their heads, supported by equal opportunities representatives, committees and groups on these issues. The HR Division and especially its equal opportunities specialists provide expertise, skills-enhancing courses and support in dealing with individual cases. My role as Adviser to the Vice-Chancellor on Equal Opportunities plays out in the midst of all this. One of the responsibilities of the Adviser to the Vice-Chancellor is to chair the Equal Opportunities Advisory Board, which consists of representatives of the disciplinary domains, the students’ unions, the library, the university administration and the staff organisations. An important task for me is to help find arenas for dialogue, where those of us who play different roles in the equal opportunities area can meet across domain and faculty boundaries to inspire one another and share experiences. One such arena is the consultation group for those who lead the faculties’ equal opportunities bodies. During the late winter, the Equal Opportunities Advisory Board conducted a follow-up of the Equal Opportunities Programme. The responses show that the programme is perceived to be relevant and necessary, that equal opportunities issues are on the agenda and that the University is well to the fore in many equal opportunities areas. It is also clear that improvements are needed in some areas. There are calls for more support for efforts against harassment and discrimination, and for more stable conditions for equal opportunities representatives. In mid-March, we celebrated this year’s Equal Opportunities Day and presented the Equal Opportunities Award to Michael Thuné. The theme this year was #MeToo. Katarina Bernt Rasmussen and Anneli Häyrén gave much appreciated talks. The day ended with a thought-provoking panel debate. The event was well attended, but it became clear that there is a need for an English language day in parallel to the Swedish language day. Many different important actions are under way at different levels in the equal opportunities field. Here I will just mention a few of them. The Discrimination Act has been amended to tighten up demands for documented and active measures against all seven grounds of discrimination. The HR Division is helping departments and units to adapt their equal opportunities work and, together with other divisions in the administration, is reviewing the need for structural changes in the University’s general information and support relating to equal opportunities. At present, the HR Division and the Legal Affairs Division are jointly reviewing the University’s Guidelines for Dealing with Cases of Harassment. Gender mainstreaming affects everyone and could certainly receive more attention. Part of what is needed is a deeper awareness of gender and gender equality in all aspects of recruitment and promotion processes. One reasonable objective is that the candidates in all recruitment processes should include both women and men. Another aspect of gender mainstreaming is to restart and further develop the online gender equality indicators tool that has been down during the restructuring of the University’s internal information and management system (GLIS). The University’s decision to go forward with Charter & Code is fully in line with gender mainstreaming. I see Charter & Code as a multifaceted means of increasingly integrating equal opportunities and gender equality in all activities at the University. The recently adopted Action Plan for Broader Recruitment is also a significant component of our equal opportunities efforts. The plan sets out new objectives and strategies for our efforts to combat social recruitment imbalances in our educational programmes. I would also like to mention the initiative of the Buildings Division to make the University accessible regardless of disabilities, and the University’s diversity initiative, which includes placements and training in diversity-aware management and development. The faculties’ equal opportunities groups and equal opportunities representatives at departments and divisions take numerous interesting initiatives, ranging from literature analyses from an equal opportunities perspective to developing a Code of Conduct for employees. I cannot present all the good projects here but encourage you to get in touch with your local representative for further discussion. In my work this spring, I have particularly focused on finding tools to increase the proportion of women among professors and heads of department at Uppsala University. If Uppsala University is to continue to be one of the world’s highly ranked universities, work on equal opportunities is essential. Equal opportunities and gender equality enhance the quality of research and education!